I have a craft supplies hoarding problem! Oh, it feels good to admit that. So you can imagine I have craft supplies in almost all my closets and containers full of stuff in the garage too. A girl can never have too many poms poms or that one thing you need when an idea for a project hits. 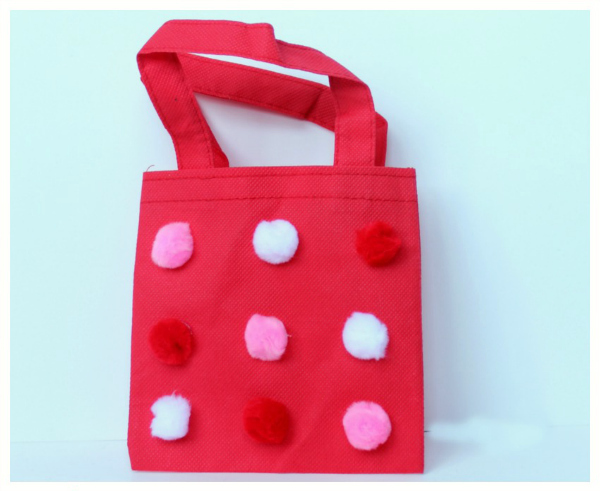 That is how this pom pom bag craft came to be. While looking for something else in the garage this red bag fell out on me. Oh, I thought, I have been wanting to make bags with the kids for a long time. I brought it in the house and sat it next to a bag of pom poms in my office. 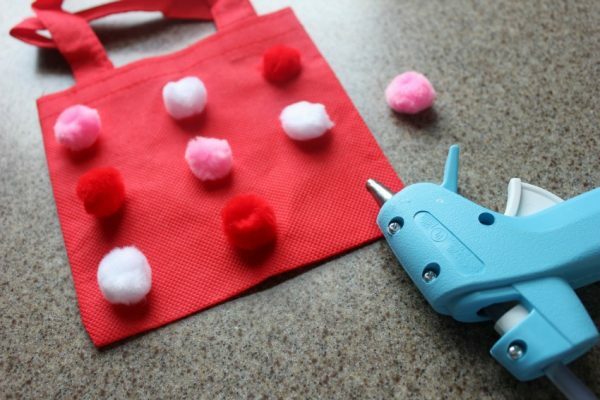 Then inspiration stuck, a pom pom bag craft would be fun to do with the kids.The bags were easy and fun to make and I think they are so cute. They could be a great Valentine’s Day gift bag or fun for birthdays too. No matter how you use it I am sure the kids will enjoy it. 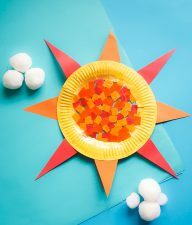 1.Plug in your hot glue gun to warm up. I am sure you can use a craft glue but we went with the hot glue gun this day. 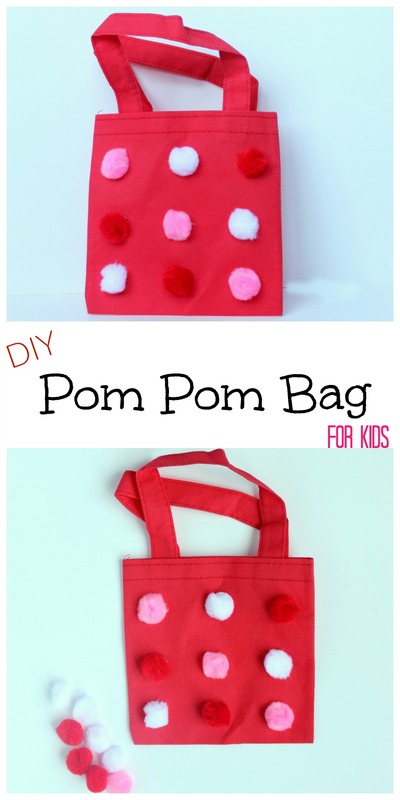 2.Let the kids pick out what pom poms they want and how they want to decorate their bag. One of my kids helped me make this one for a friend. 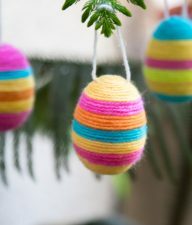 3.Once the glue gun is warm you can start gluing on the pom poms. 4. To keep from gluing the bag together put something in between while gluing and then remove. 5. We arranged the pom poms how we wanted them on the bag. 6. My child squeezed glue out and pressed down the pom pom in place. Repeat this until done. 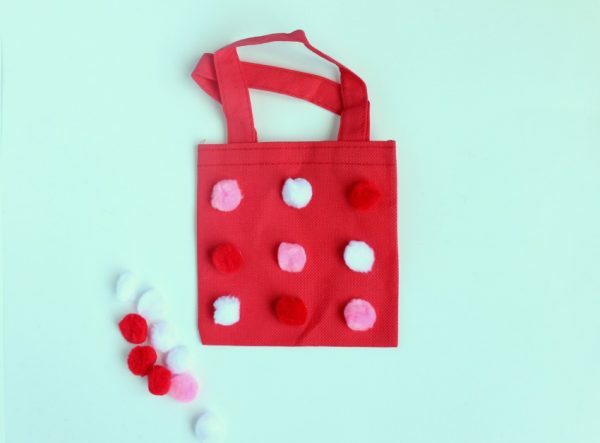 Now we had a cute DIY pom pom bag to gift. 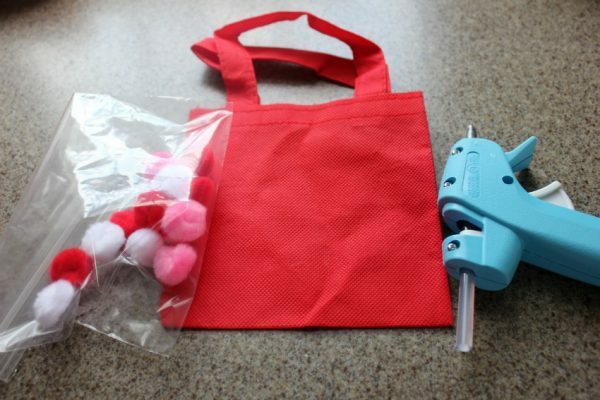 This bag as stated above could be used as a treat bag for Valentine’s Day. 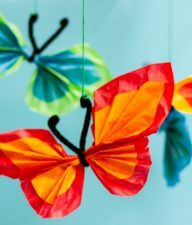 It can also be a gift or just for the kids to play with for fun. 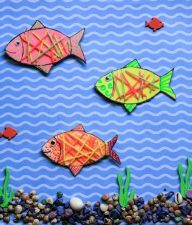 Look forward to more craft time with the kids another day. We have more than enough supplies around the house for it.